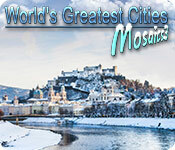 World's Greatest Cities Mosaics 3 is rated 3.2 out of 5 by 5. Rated 5 out of 5 by romany09 from My Favorite Mosaic Puzzle All griddler games are not created equal, and this is my favorite. This particular one has a winter holiday theme and the music is appropriate for the season. Like the previous ones, I enjoy the surprise of seeing a city grow. The snippets about them are also interesting. The labyrinths and use of Roman numerals give a special uniqueness to the game, too. I look forward to their next creation! Rated 4 out of 5 by pennmom36 from I LOVE THE VARIETY OF MOSAICS AND IT'S BASED ON LOGIC!!!! World's Greatest Cities sure knows how to shake up the Mosaic puzzle world! I love the variety of Mosaics they offer, but I would like to have a few more colors added to the traditional multi-colored type, which only has 3 available colors presently. I think those colors could be a little more vivid, and I wish they would label the pictures afterwards. My final complaints (the reasons for only 4 stars) are the fact that in the Mystery Lands type, the colors are at times too similar, making it difficult to tell them apart, and sometimes the cells don't automatically cross of on either setting, and I have to go through and cross them off manually. I do like reading about all the different Cities around the World, which is a feature offered in this game, as well as World's Greatest Places. 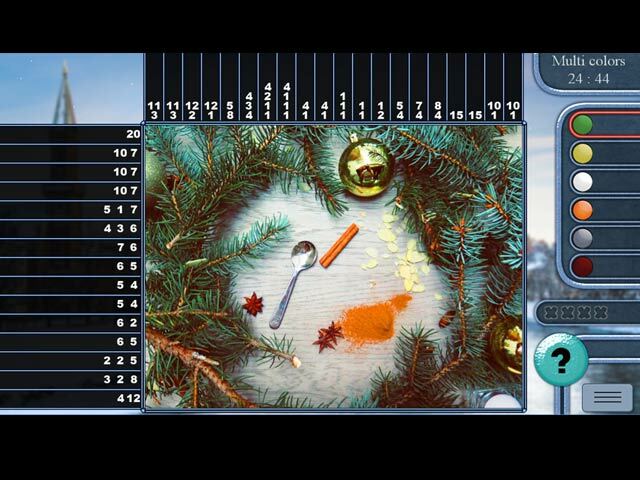 You can play in a Casual, Normal or Expert difficulty mode, or you can customize the difficulty mode by choosing if you want to play in a timed mode, if you want bonus points as a time bonus, whether you want numbers crossed off one by one or only when the entire row has been completed, and you can set the number of mistakes allowed from 1-5 and how long it takes for the hint feature to recharge from 30-120 seconds. There are 4 different types of Mosaics offered: *Traditional (multi-colored) which has 3 different colors to switch between to help you solve the puzzle. *Mystery Lands which fills in each cell with 3 different kinds of pictures that when complete forms a beautiful scene, often with swimming fish, turtles etc. *Rome Game is the same as Traditional except the numbers are presented as Roman Numerals, but if you scan the mouse over the numbers it will show the traditional number. *Labyrinth Game is similar to Mystery Lands, but after completing the puzzle, you move objects from point A to B by clicking on intersections of a maze. WORLD'S GREATEST CITIES/PLACES MOSAICS SERIES LIST Title***Release Date***Average Rating 1-World's Greatest Cities Mosaics 1 (March 7-2016) 3.5 2-World's Greatest Cities Mosaics 2 (October 20-2017) 4.6 3-World's Greatest Cities Mosaics 3 (December 11-2017) n/a 1-World's Greatest Places Mosaics 1 (March 16-2016) 2.8 2-World's Greatest Places Mosaics 2 (September 6-2017) 4.8 WORLD'S GREATEST CITIES/PLACES MAHJONG SERIES LIST Title***Release Date***Average Rating 1-World's Greatest Cities Mahjong (January 12-2012) 4.3 1-World's Greatest Places Mahjong (January 17-2012) 4.2 If you're looking for a Mosaic game with something different, this is it! 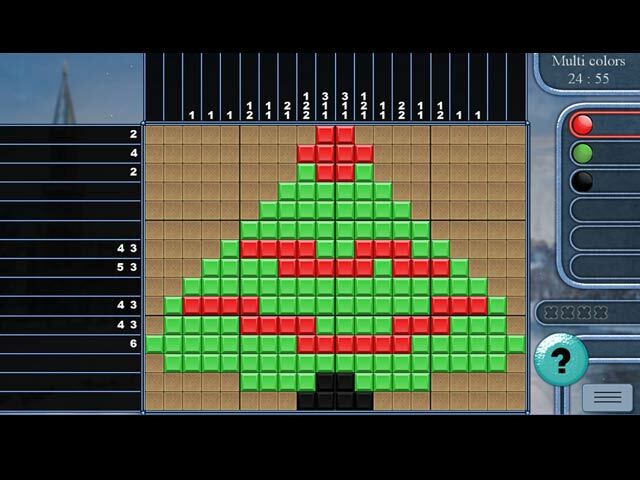 And even better, you get to solve the puzzles using logic, not by using a hint or guessing like some Mosaic games, enjoy! Rated 3 out of 5 by ruthheart from Another nonogram game that almost hits the mark Positive: I love the Mystery Lands puzzles (where scenery animation plays on placed blocks). In fact, I wish I could buy a game that consists only of Mystery Lands puzzles. I found myself hurrying through the other puzzles to get to the next Mystery Lands one. Negative: Dark brown is hard to distinguish from black. Titles for pictures would be nice. Sometimes I was left wondering if something was supposed to be a butterfly or a flower or something else. Rated 2 out of 5 by murphie12211 from Disappointment Before this, I would have said I love ALL nanograms, but this was the exception. Some colors are much too close to determine accurately. Though not to my liking, the use of Roman numerals was a change and okay, but the mazes were confusing and I struggled to get through them. Even playing on Casual, the blanks did not always get marked off. 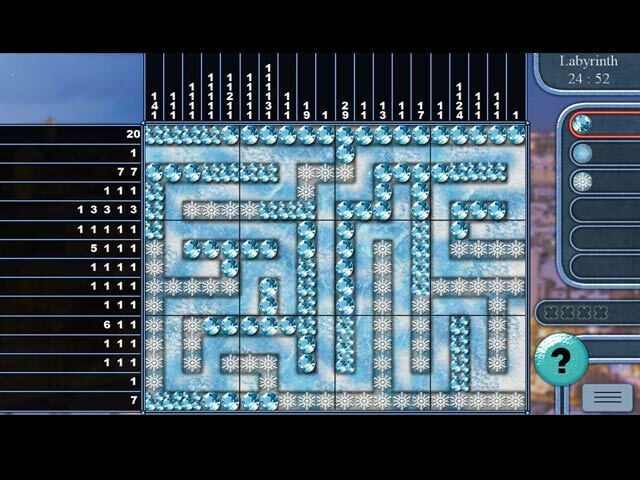 It became tedious and just wasn't fun, so I deleted the game mid-2nd maze. Interesting facts about each location is the only thing warranting the 2 star rating. That said, try it through a Roman numeral and maze puzzle. It just may be to your liking. Rated 2 out of 5 by CyndiLouWho2 from Innovative idea, but glitchy The thinking outside the box that went into this game is amazing. However, the execution is poor, so my rating is based on my total game play experience. First, there are not only different colors to use, but there are textured, photographic images. Sounds fun, but many of the textures and colors look the same -- leading to solving errors that are not really your fault. I liked that the game is designed to automatically cross off the squares you don't use. But it doesn't do it all the time. In fact, it doesn't cross them off most of the time, which again causes you to make errors that are not your fault. The graphics are nice, the added factoids are okay and the music is bearable. If the game play weren't so glitchy, this would be a five star game.